I kinda love that in its flurry to win the Guinness record for producing the most original content in the shortest amount of time, Netflix found a way to squeeze out an anti-Valentine film when they likely could have had their pick of any cheesy romantic comedy. Take that, traditional Hollywood. 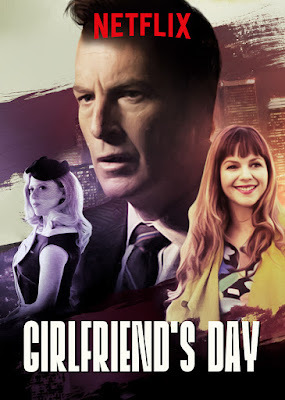 In the Netflix original film, Girlfriend's Day, director Michael Paul Stephenson (The American Scream) invites you to experience a clever and quirky story about love, loss and the worst place to get a paper cut. Meet Ray Wentworth (Bob Odenkirk), once a king of the wordsmith world, and now a down-on-his-luck romance card writer. In an effort to recapture the feelings that once made him the greatest, he gets entangled in a web of murder and deceit as writers vie to create the perfect card for a newly crowned holiday: Girlfriend's Day. See? GIRLFRIEND'S DAY premieres on Netflix February 14.